For the past seven years, Hispanicize has been THE largest annual event for Latino trendsetters and news-makers in digital content creation, journalism, marketing, entertainment and tech entrepreneurs. The conference has grown exponentially over the years, in attendance and with consumer brands. The week-long event in sunny Miami features informative panels, luncheons with celebs, exclusive parties and an award show to end the whole experience. Hispanicize is not only a place to learn about emerging trends but to also hear from influencers, marketing experts and build new and existing relationships. Conferences such as Hispanicize provide that rare opportunity for marketing and PR professionals to meet face-to-face with people of various backgrounds they have been wanting to reach and get to know. While building relationships over email or over phone develop over time, it is those occasional irl (in real life) meetings that can make an influencer unicorn into a potential friend. Don’t be scared to research conference attendees and reach out for a meeting. Look at the people who RSVP for panels, check the Twitter-sphere or reach out to your contacts to find out who will be in attendance. The conference itself will provide networking opportunities, but if there are people whom you know will be there, ask for their time. You never know, they might just say yes! Be ready to introduce yourself to everyone at all times. The elevator pitch is real. Most of my time was spent in an elevator going to and from panels, and I met a lot of people in that small personal space. I only had limited time to tell them who I was and what I did, and thank gosh, I had my elevator pitch ready because it worked! Stay ready at all times. Get out of your comfort zone and meet anyone and everyone you can. Networking is the name of the game. 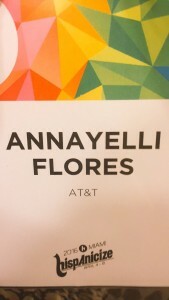 Hispanicize is one big Latino family reunion! Everyone is so friendly and there for the same reason you are; they want to expand their horizons and make those connections. Instead of going to panels in which you know the subject matter, change it up. There will be new people to meet at that Latino voting panel or that Texas blogger talk whom could potentially become a lead. Not only did we leave the conference with key learnings and trends to introduce our clients to, but with new and stronger relationships with an influx of influencers, content creators and media friends. FCG looks forward to doing it all again next year! 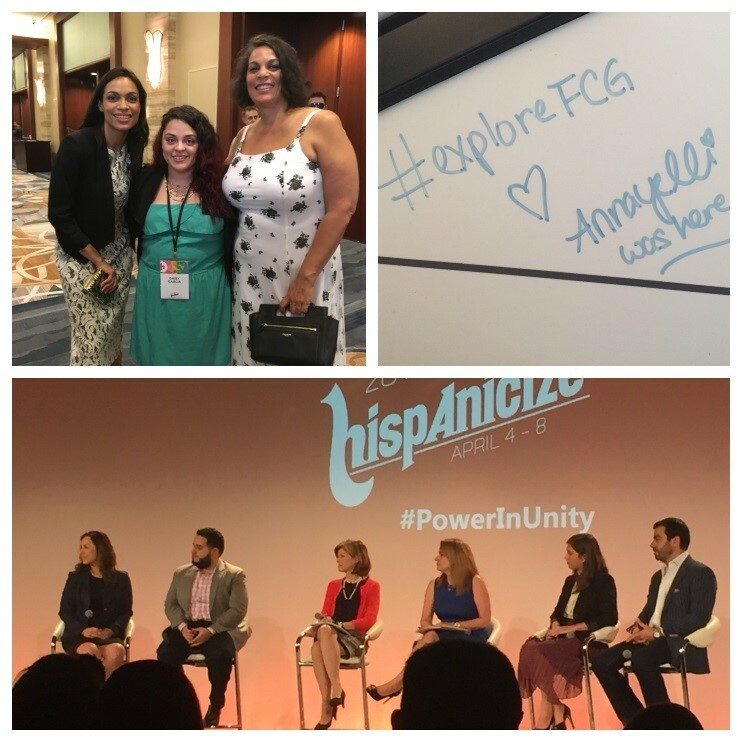 Check out @explorefcg on Facebook, Twitter, and Instagram for more pictures from our time at Hispanicize!